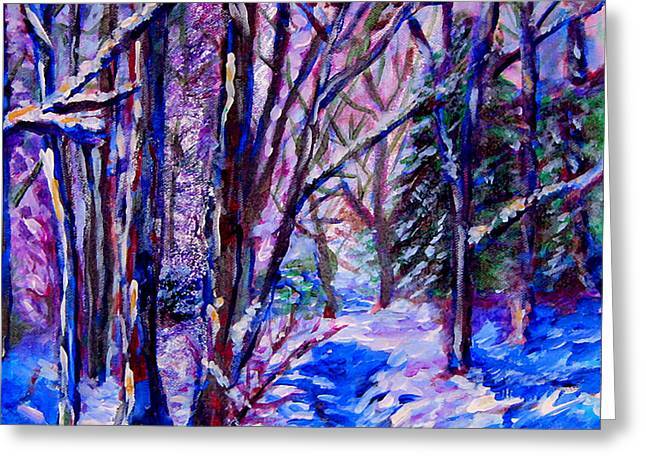 Woodland Snow is a painting by Laura Heggestad which was uploaded on January 16th, 2010. 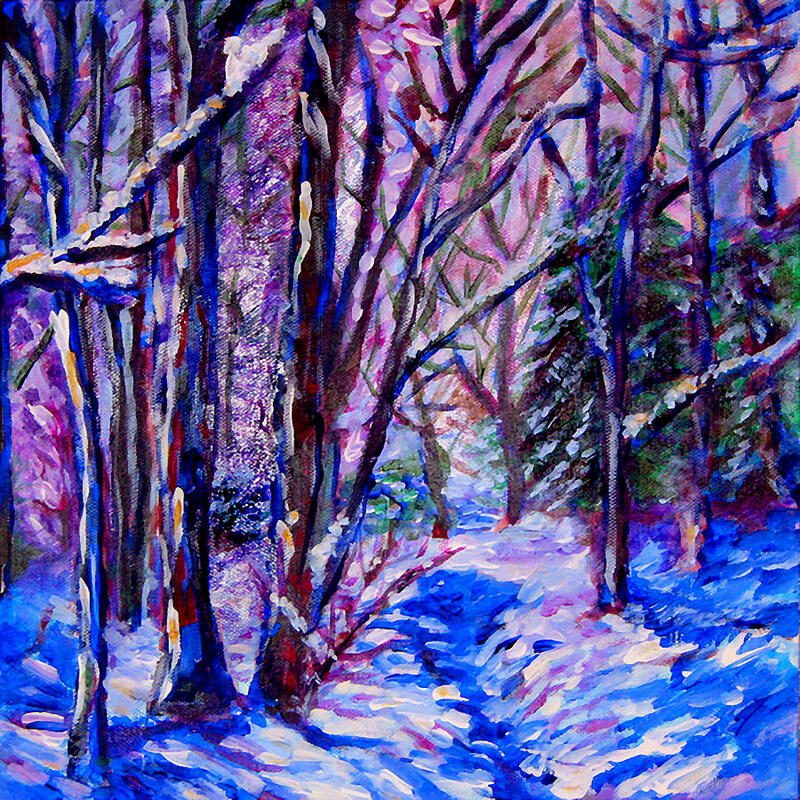 Prior to this painting, I had only painted snow once before, as an adolescent in school, with limited success. I had kind of sworn off painting snow after that, imagining that it would continue to prove too daunting. But the beauty of this setting caught me. I knew I needed the challenge. With my nerves all standing anxiously to attention, I plunged ahead. I have used a more limited color palette than usual, but enjoyed expressing the varied, if subtle colors that the snow manifests in varying degrees of light and shadow. More than being invigorating, this painting conveys to me a sense of peace. It's one of my favorites because of its peace. The paint is thickly applied in the foreground, and less so over much of the background. Please let me know if you want a close, but respectfully unique, rendition of this painting done for you. You are right Laura, This painting conveys its viewer a sense of peace! Great light! Laura, I love your choice of colors~soothing. Hi Laura, Thank you for visiting my gallery and it was a real pleasure to view your gallery! I truly appreciate your kind comments on my paintings! BRAVO - Love it ! Thank you very much! Painting snow has now become for me an opportunity for adventure! Guess this is an ideal winter to be coming to that conclusion! Love your vibrant choice of color!